March 13, 2012  As part of a new campaign, dozens of citizen groups around the country are searching voter registration lists, looking for problems. 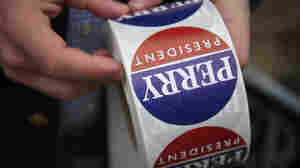 Critics say the effort is part of a campaign to suppress the votes of minorities, students and others who tend to vote Democratic. March 8, 2012  At a Thursday hearing, lawmakers said the federal government isn't doing enough to prevent fraud in the food stamp benefit program. 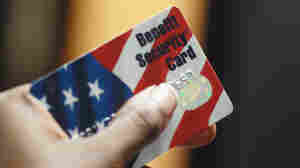 The hearing comes after a recent news investigation found that numerous retailers who illegally deal in food stamps were allowed to stay in the program. 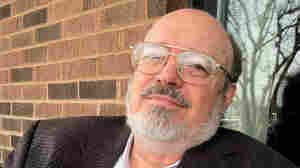 March 2, 2012  Cities are struggling to figure out how to deal with a cut of about $1 billion over the past two years in federal community development block grants. Critics say a complicated funding formula has hit some cities especially hard, with cuts of more than 40 percent from last year. February 23, 2012  A Washington, D.C. debate between a supporter of voter ID laws and an opponent showed that each side suffers from a lack of data to support its position. 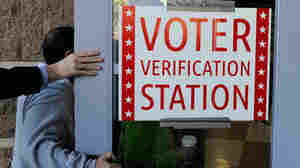 February 14, 2012  A new report finds that about one in eight U.S. voter registrations are invalid or inaccurate. While there are few documented cases of voter fraud, the study finds that cooperation among states could improve the accuracy of voter registration lists nationwide. February 7, 2012  What initially looked to some like widespread voter fraud in South Carolina will likely turn out to be much more benign. A state official said that out of the first six names checked, five involved clerical or poll worker errors, such as someone marking the wrong voter's name in the poll book. The sixth case involved a man who had sent in an absentee ballot, and then died. February 6, 2012  The Susan G. Komen for the Cure Foundation is fighting to keep controversy from undermining its fundraising efforts. Komen spends tens of millions of dollars for cancer research, education and screening. But that spending was criticized long before the current flap over its Planned Parenthood grants. 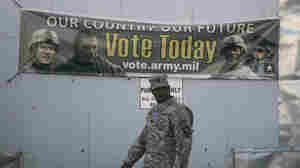 Controversial Voter ID Laws Proposed Across The U.S.
February 2, 2012  More than two dozens states this year are considering new laws to require voters to show ID at the polls, despite the controversy around similar bills enacted last year. Efforts are under way to impose the requirements before the 2012 elections, although opponents are waging legal challenges and looking toward the U.S. Justice Department to bar implementation. January 18, 2012  Republican presidential candidates have had some harsh words about the role of government aid in the Obama administration. But in areas still struggling with a bad economy — such as McKeesport, Pa. — those getting aid say it's keeping them afloat. And they worry what cutting them off would mean. January 4, 2012  Charitable giving has been down since the recession hit. But there are signs that things are starting to look up — if only a little. Meanwhile, non-profits are fine-tuning their fundraising appeals. December 20, 2011  The Iowa caucuses are two weeks from Tuesday. And the biggest challenge for GOP presidential candidates is still ahead: getting their supporters to turn out on a cold January night. Get-out-the-vote efforts could make all the difference in a race that now appears to be up for grabs. December 19, 2011  With just about two weeks to go before the Iowa caucuses, polls show a majority of likely caucus-goers still have an open mind about which Republican candidate to support for president. What information will they use to make up their mind, and how will they reach a final decision?